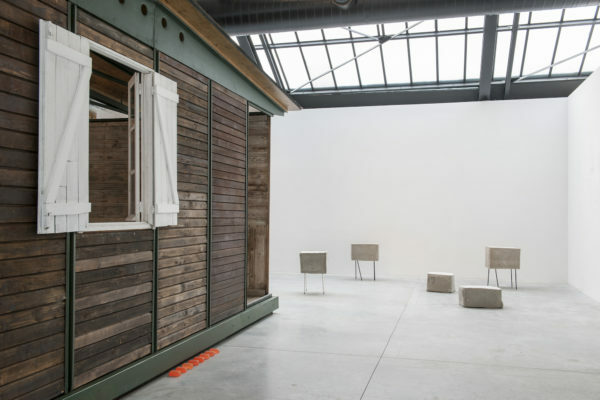 Le CAB est heureux de présenter sa première exposition collective, autour de la Maison Démontable 6x6mde Jean Prouvé. Cet élément central du programme annuel, conçu en 1944, y rencontre des sculptures et installations d’artistes contemporains (belges et internationaux). 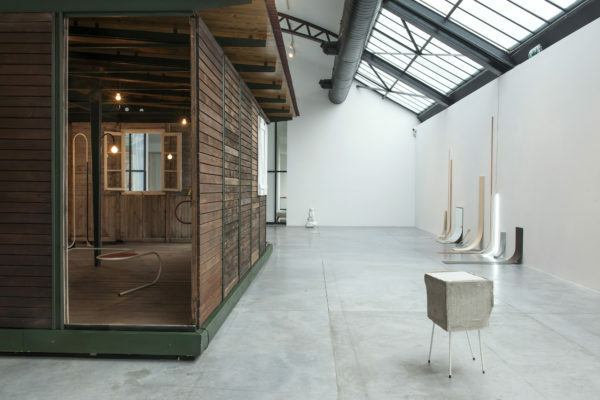 Par la présence de cet objet architectural, cette exposition se déploie à la fois comme un intérieur et un extérieur. Cette ambigüité cherche à remettre en question nos perceptions et interactions avec les objets. Cet agencement d’œuvres crée ainsi des frontières indécises entre architecture, mobilier, objets abstraits et créatures vivantes. La suggestion de mouvement, reliant les œuvres présentées, donne à l’ensemble une dynamique et un aspect humains. 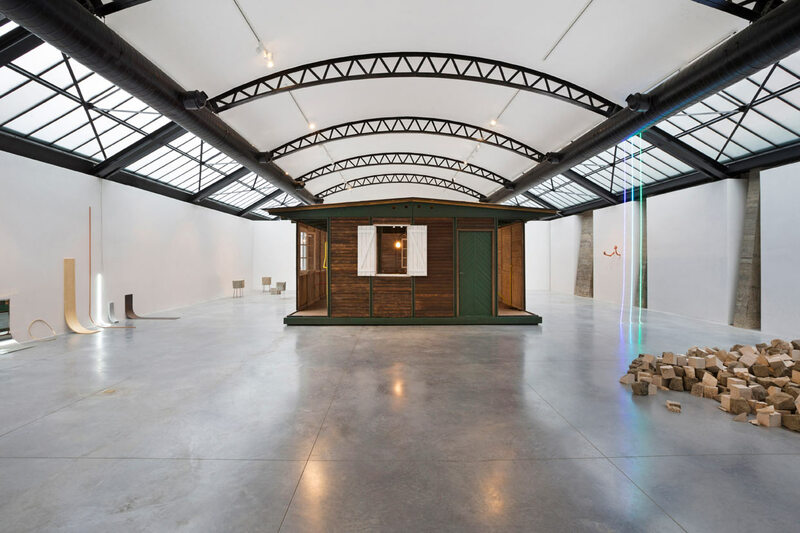 De cette exposition, à la fois ludique et troublante, résulte un arrangement scénographique surréaliste et absurde, qui questionne nos attentes de ce qu’un objet (qu’il soit – sculpté, dessiné, photographié ou filmé) peut être. Les travaux de A Kassen (depuis 2004), Erika Hock(1981, Kirghizistan) et Rosa Sijben (1988, Pays-Bas) considèrent l’objet comme une entité abstraite et indépendante. Ils questionnent des idées préconçues engendrées par le contexte, jusqu’aux conséquences de nos catégorisations mentales. 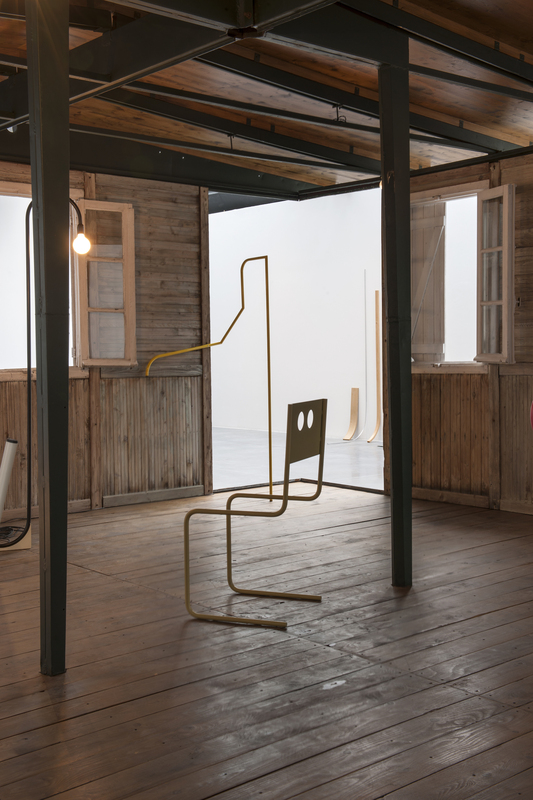 Alicja Kwade (1979, Allemagne), Ode de Kort (1992, Belgique), Koenraad Dedobbeleer (1975, Belgique) et Timo van Grinsven (1985, Pays-Bas) utilisent la déformation et la distorsion pour s’interroger par rapport à des figures a priori évidentes. 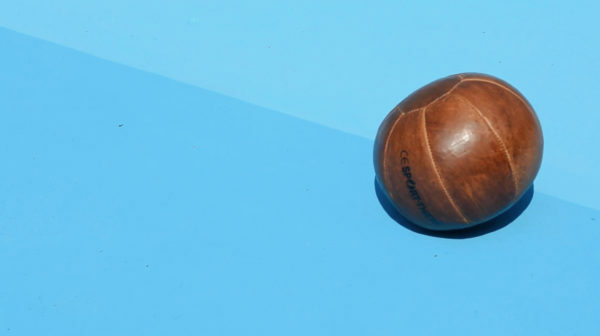 Ils changent la nature de l’objet afin de troubler nos perceptions cognitives. Finalement, Judith Hopf (1969, Allemagne), Peter Regli (1959, Suisse) et Tony Matelli (1971, Etats-Unis) utilisent une approche plus directe et iconoclaste qui vise à compromettre le statut « supérieur » de l’objet d’art. Inhabited by objects est une exposition conçue et réalisée par l’équipe du CAB. 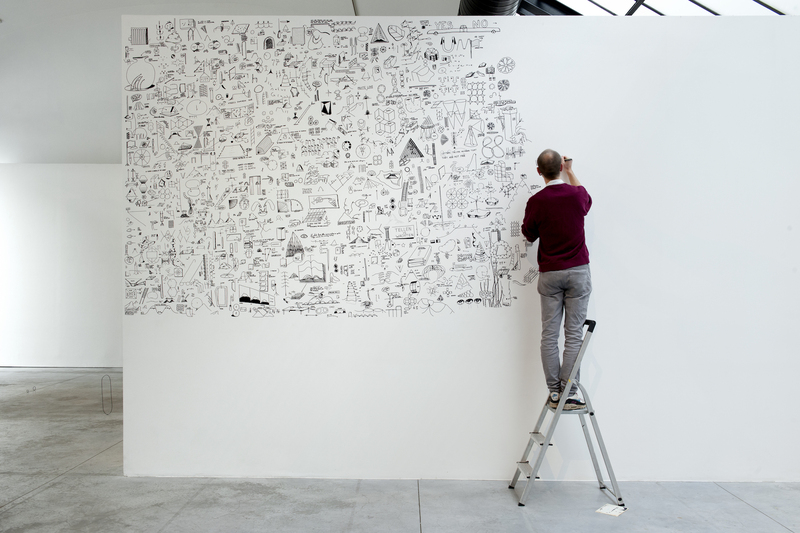 Koenraad Dedobbeleer operates in translations: he teases his audience by incorporating seemingly familiar objects in his constellations that however don’t actually form part of our everyday surroundings. 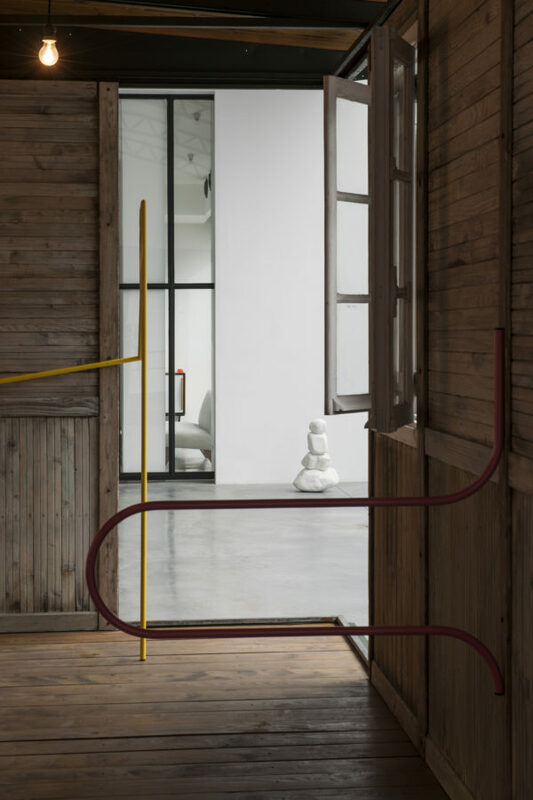 Through its recontextualisation and symbiosis with other elements, the apparent functionality becomes ambiguous regarding its nature and its purpose. The inquirey of Ode de Kort into the formal aspects of the circle is approached spatially and made tangible through experiment and manipulations – both physical and mental. At CAB she presents a series of metalwire variations on the circle in her installation 0O, appearing as pictorial drawings in space. 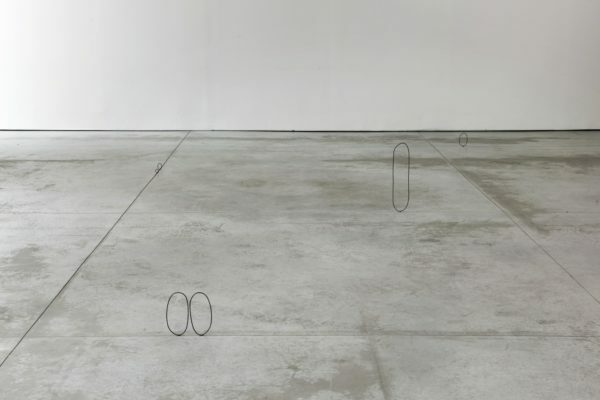 The movie Suspension of a Circle shows the circle in an estranging dance, which infuses the abstract form with life and dynamics, confirming an almost human-like relationship betzeen subject and object. 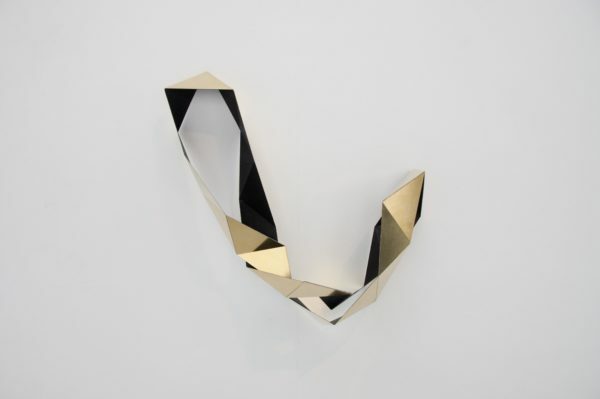 German-Kyrgizian artist Erika Hock reflects on our preconceived ideas related to artistic disciplines, transcending them by creating objects that can be perceived as architecture, design or art. In her Elbows and Knees series, furniture-like metal tubes tructures, she questions with our expectations regarding the functionality of objects. 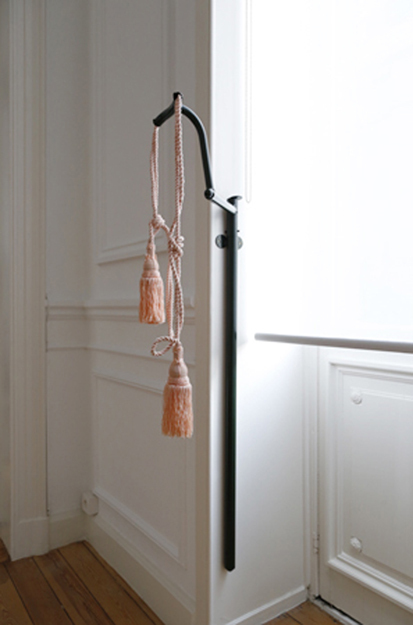 She plays with our fixed ideas connected to certain archetypical forms, and hereby demonstrates how to transcend the traditional categorisations of architecture, interior design and furniture. 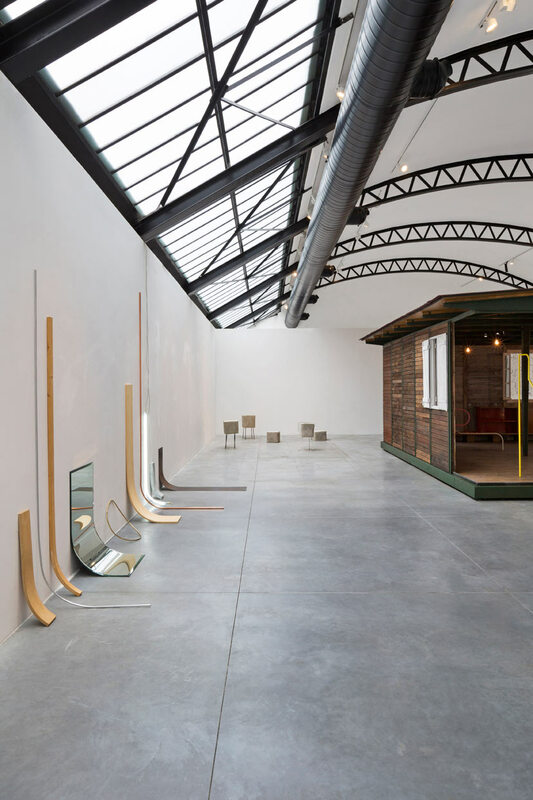 Inspired by a Jean Prouvé chair, she created a new piece for this exhibition. Hock’s Folding Structures are modular systems that appear as structuring of space. 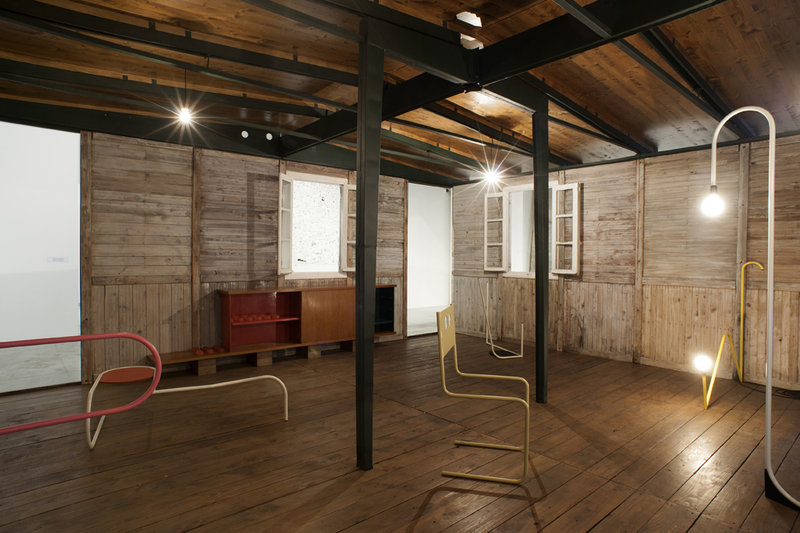 These works also resonate the modularity that is characteristic for the living units desinged by Prouvé. 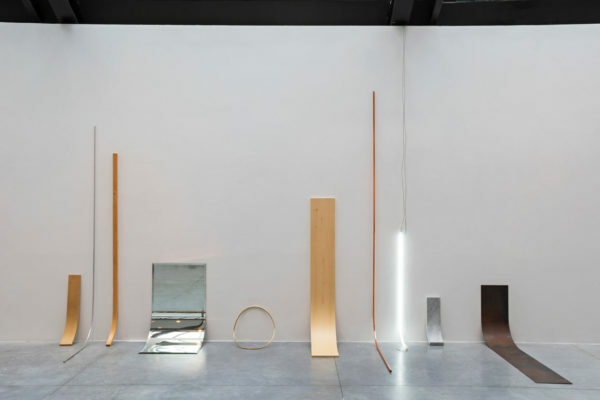 German artist Judith Hopf deploys an almost satirical and iconoclastic approach in her work to undermine the elevated aura of the art world. 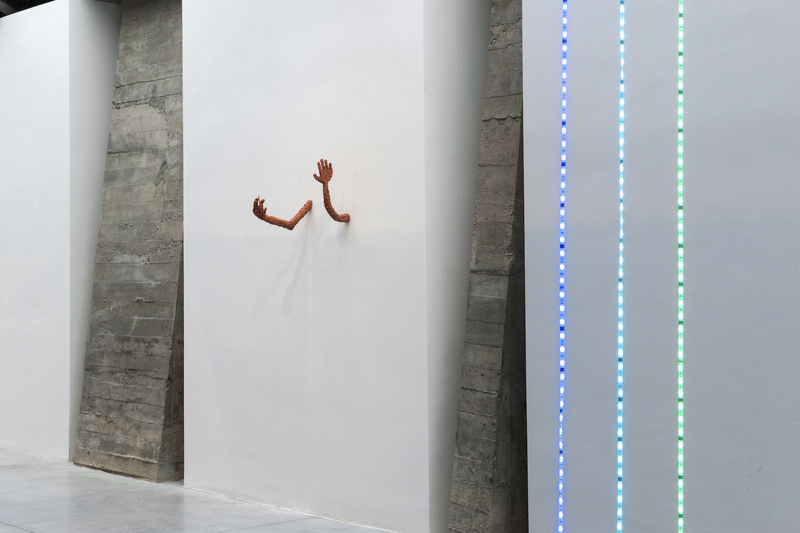 Untitled (Pair of Arms) and Untitled (Email Lines) are to works that together criticize the exponentially growing importance of digital communication. De LED-lights form Email lines drop from the ceiling to divert our route, reminding us of the ever-present influx of emails distracting contemporary life. The lines represent both visibly and tangibly how we’re constantly tied to each other through digital communication, and also appear as an umbilical cord between humans and the virtual world. The static and dehumanized pair of arms appearing from the blank wall next to it, obsessively hold a cellphone, almost as an attached prothesis forever fixed to our natural limbs. 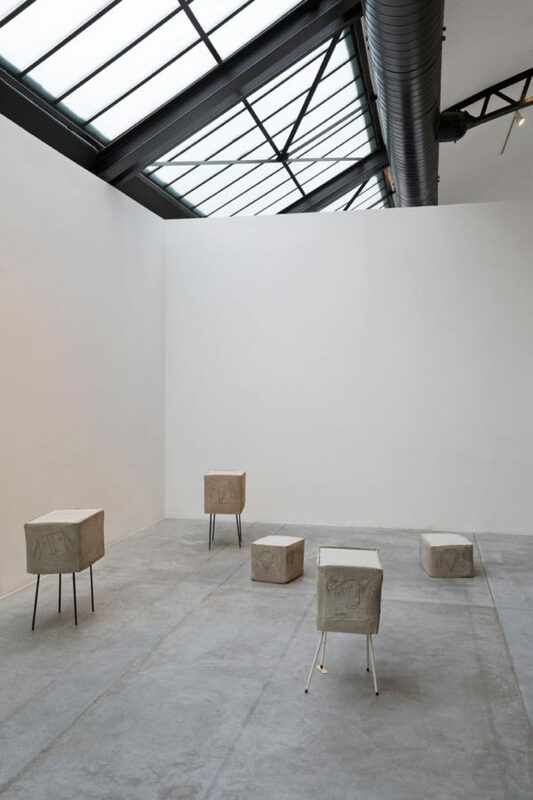 Flock of sheep, a touching and almost phathetic installation plays with the paradoxical immobility of moving boxes cast in solid concrete and the azkzard expressiveness of the drawn sheep heads. The artist claims to apply ‘stupidity’ and slapstick-humor to subvert the seriosity seemingly inherent to the art world. The Danish art collective A Kassen researches the value of the object within the context of art history. 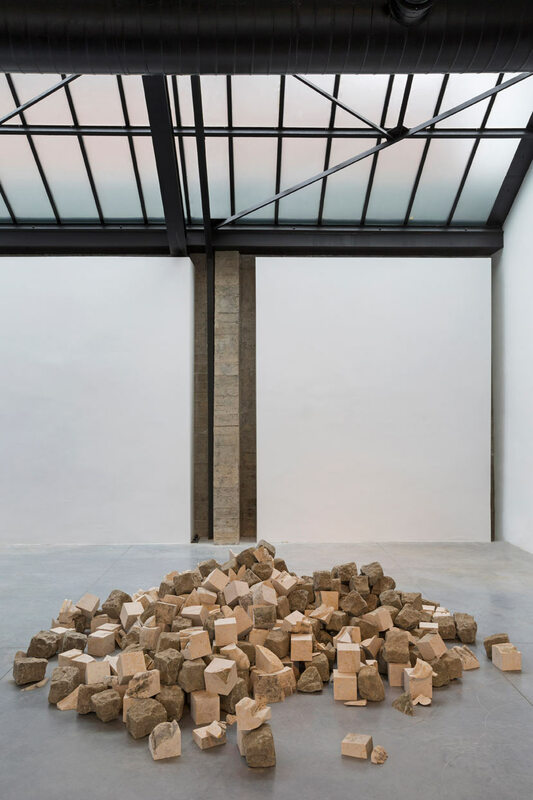 Their newly commissioned site-specific installation at CAB includes both a shattered existing sculpture of Atlas the Titan (from Greek mythology) and cobblestones from Brussels. The ensemble hereby draws on the ancient practice of ‘spolia’; in which construction parts are repurposed for new monuments or structures. 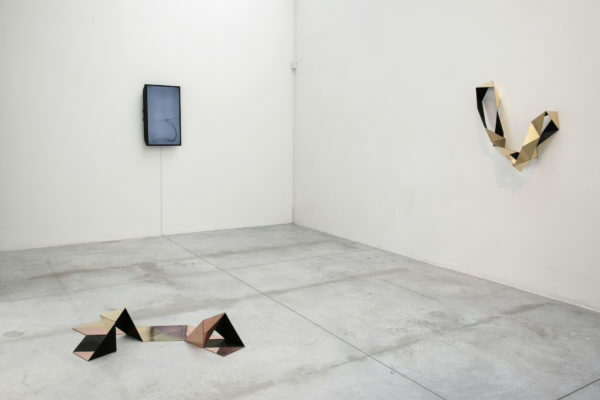 Polish artist Alicja Kwade often works with a mix of natural and alchemical materials and mirroring surfaces to hypnotize the viewer and distort his perception. 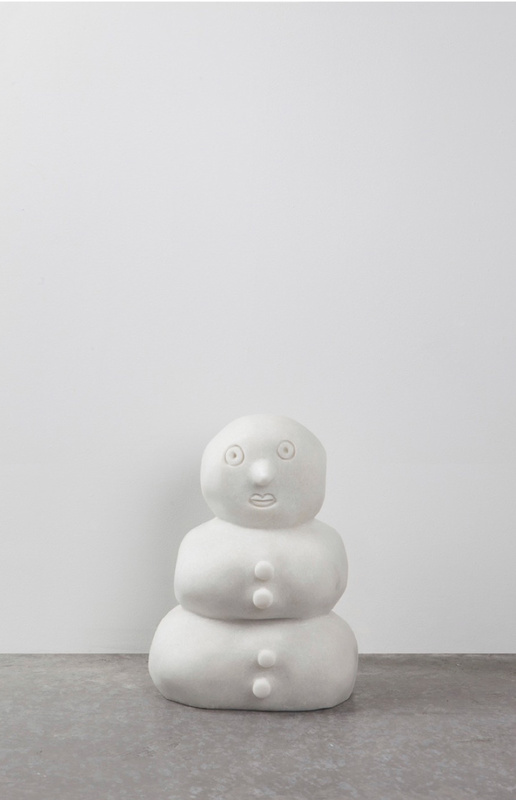 The exhibited Andere Bedindung (Aggregatwustand 7) work is an anthropomorphic mixed-media constellation that challenges and confuses our cognitive experience of the time and space we inhabit. The practice of Tony Matelli is aimed at seducing the viewer to experience his sculptures in a very direct way and to see them for what they actually represent rather than through the conceptual filter of contemporary art. 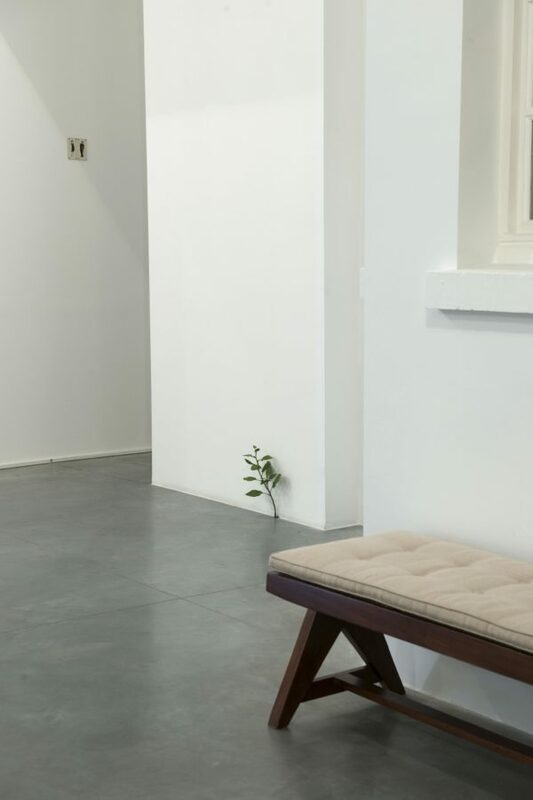 His series of hyperrealistic botanical bronzes called Weeds sprout unexpectedly from in between walls and floors, in order to surprise the viewer who can only count on his first automatic impression. World-renowed Swiss artist Peter Regli started his series of Reality Hacking in 1996, consisting of anachronistic and humourous interventions in the public space. His iconic Snow Monsters set out to awaken the random passer-by to his surroundings. 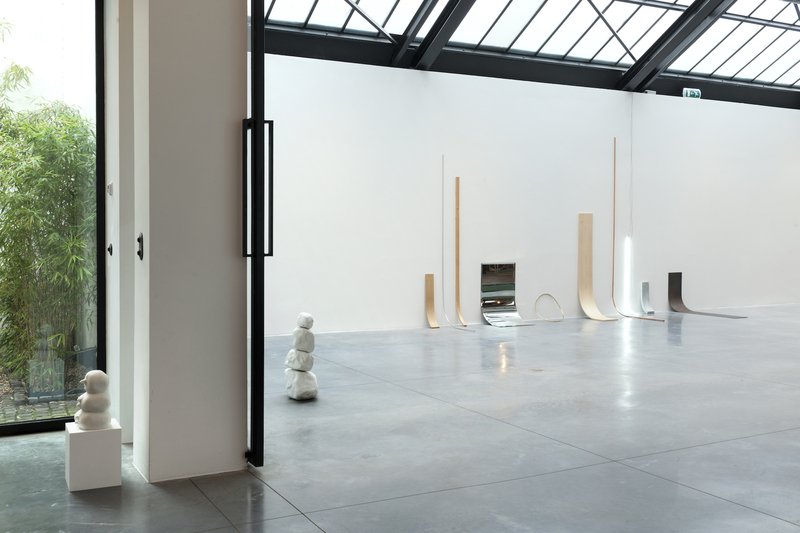 Departing from the idea that our sensory experience of the environment we inhabit is often obscured by the daily stress of our rushed lives, Regli’s sculptures tend to surprise and catch off-guard. 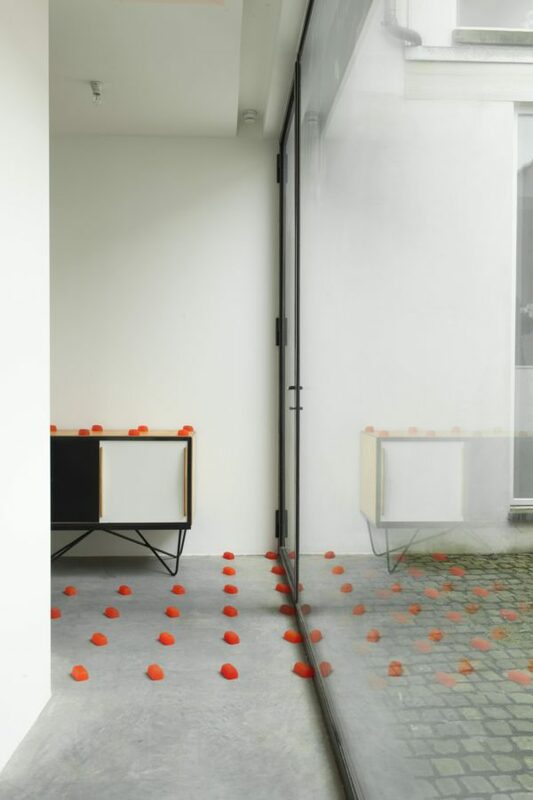 Rosa Sijben creates ‘situational choreographies’; performative installations and objects that challenge the boundaries between life and art, and our deployment of everyday mundane objects. Crucial to her artistic practice is the acknowledgement of the context in which her works appear, characterized by its function, its users and its visitors. 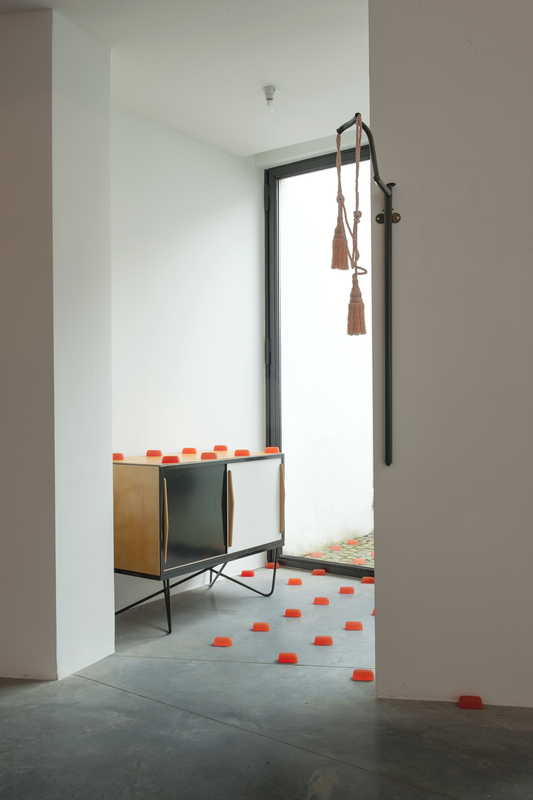 Zouden Zullen Zijn (Would Will Are), is a collection of abstract multi-interpretable orange blocks that take on meaning as they meanter through the exhibition space, reminding the visitor of conditioned associations connected to our surroundings. Platzierung is the video recording of an alienating staging of objects, appearing as entities with a life of their own in an absurdist and pointless theatre play. 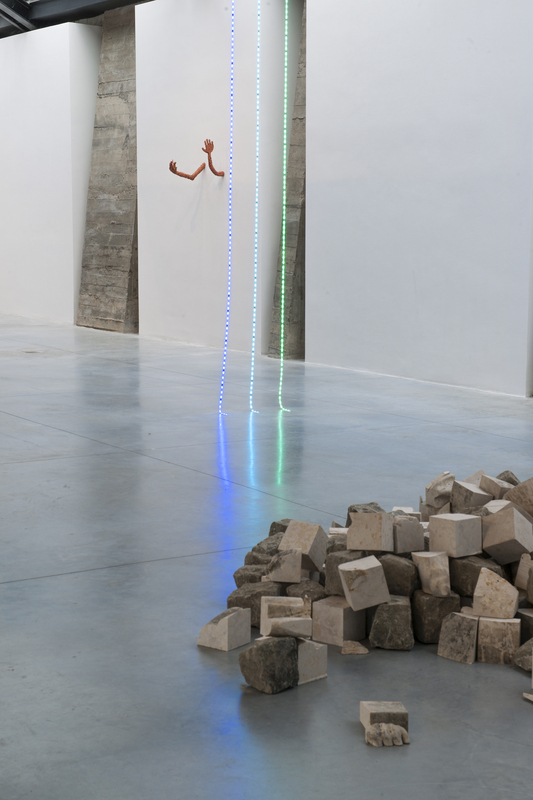 The work counts as an entry point of Sijben’s exploration into whether or not an object can be autonomous or is guided by independent agency. 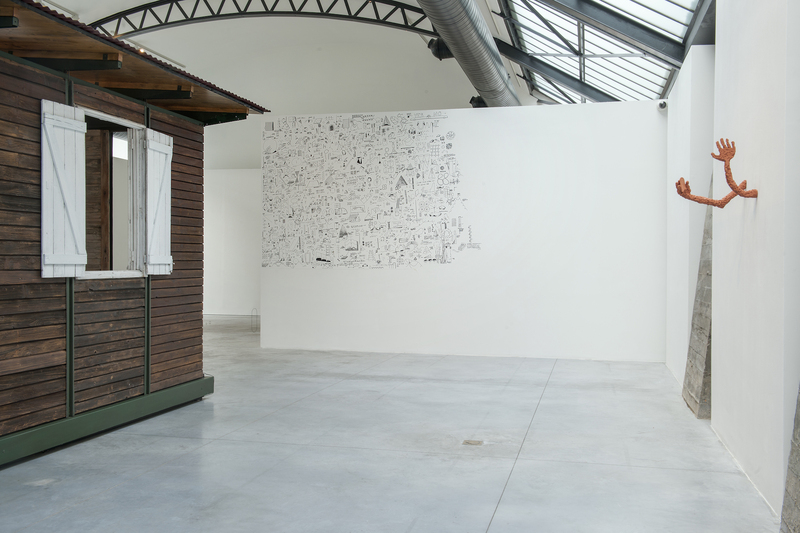 In Antwerp based Dutch artist Timo van Grinsven presents an in-situ drawing that expresses his tendency to personally construct logistic structures and systes, or in his own words « to find the point where the probable becomes the improbable ». 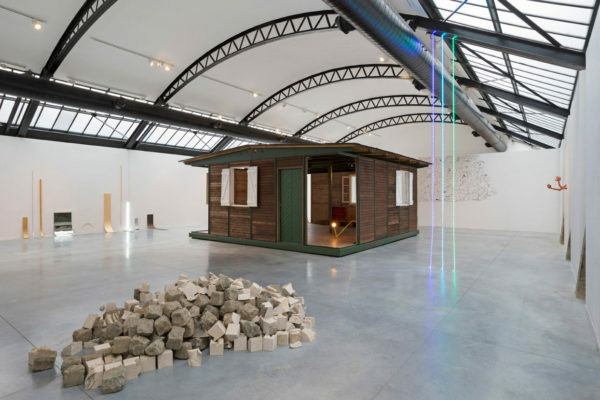 His own body of work, consisting of both sculptures, installation and drawing, counts as an expression of an unconscious game of back-and-forth associations between image and text. 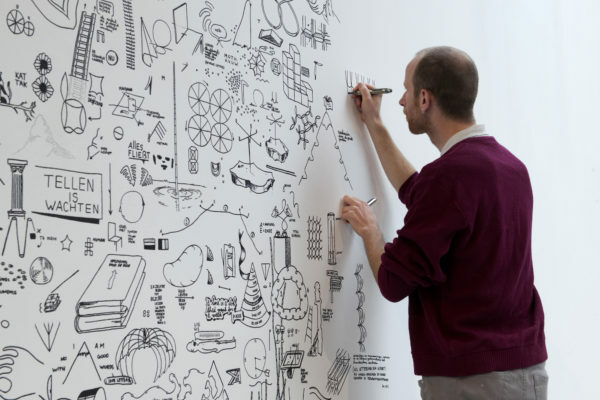 His drawings are not representational for actual existing forms or ideas (albeit some contain references to existing sculptural work), but rather come to be on their own terms.